There's something quite sad when you see a brand you thought was great lose its way. 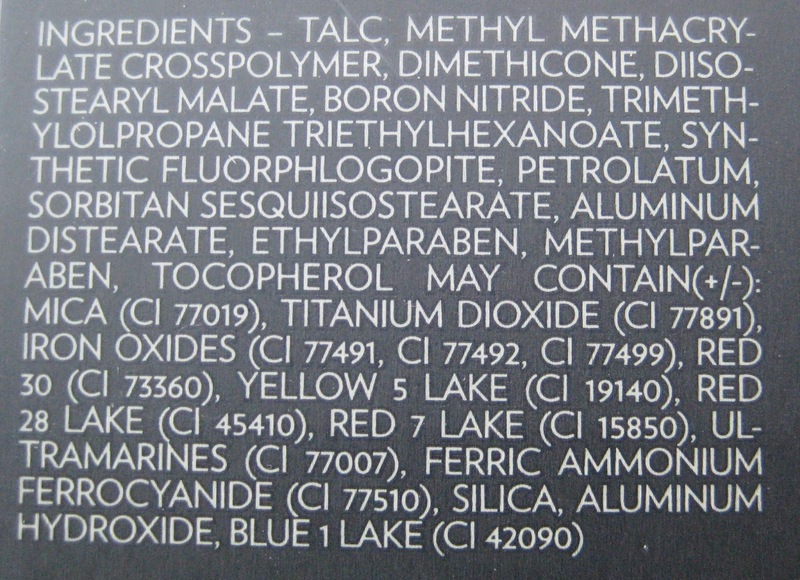 Back in its heyday the Stila brand was unique, it wasn't just about the quality and design of the products but the brand had a very strong identity that made it stand out. Once the brand was sold everything that had made it special started to diminish. 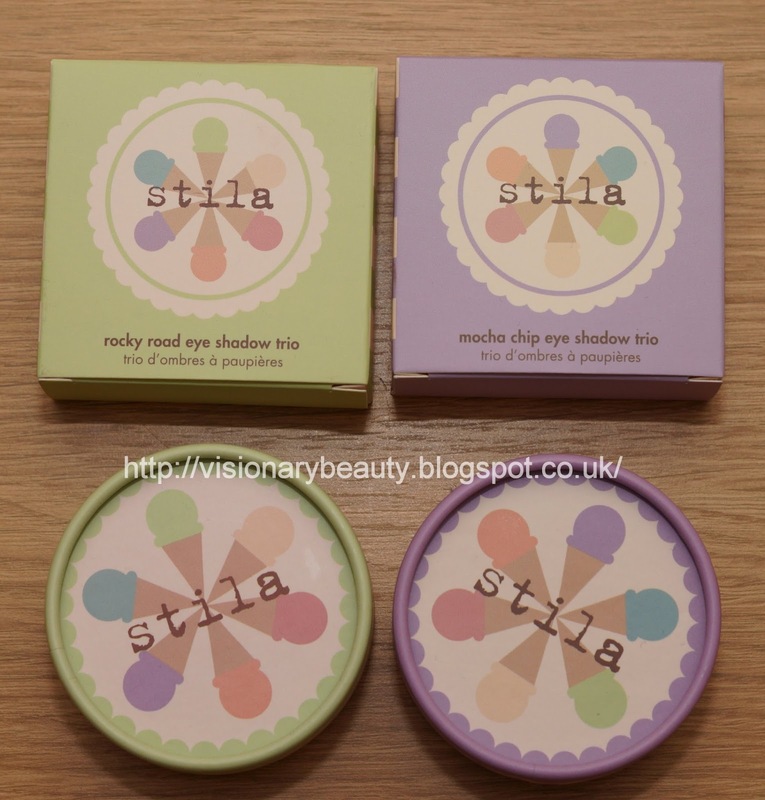 I've bought bits here and there from the brand since, perhaps for nostalgic purposes, but the Stila of today is miles away in some aspects from its original creation in my opinion. It was with hope then that I eyed the recent Ice Cream collection, which in celebration of their 20th anniversary, revisited the vintage product design. I ordered two of the eyeshadow trios, Mocha Chip (which I actually ordered in error, meaning to select Neapolitan) and Rocky Road. The packaging is similar to the old style, though the actual design on the lid is disappointingly very generic. 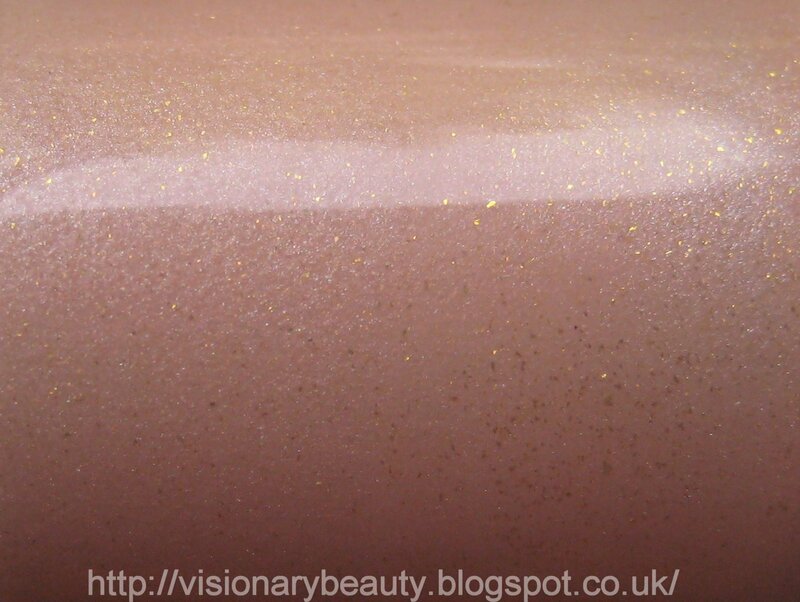 Mocha Chip contains a frosty cream, shimmery bronze and brown with a touch of gold sparkle. 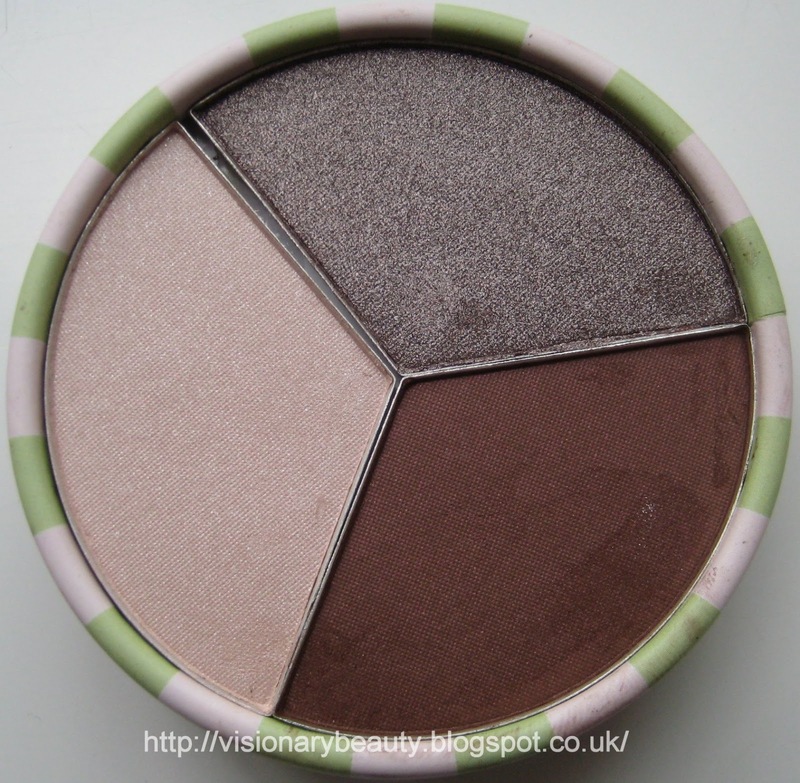 Rocky Road contains a satin pink cream, shimmery taupe and a matte cool brown. 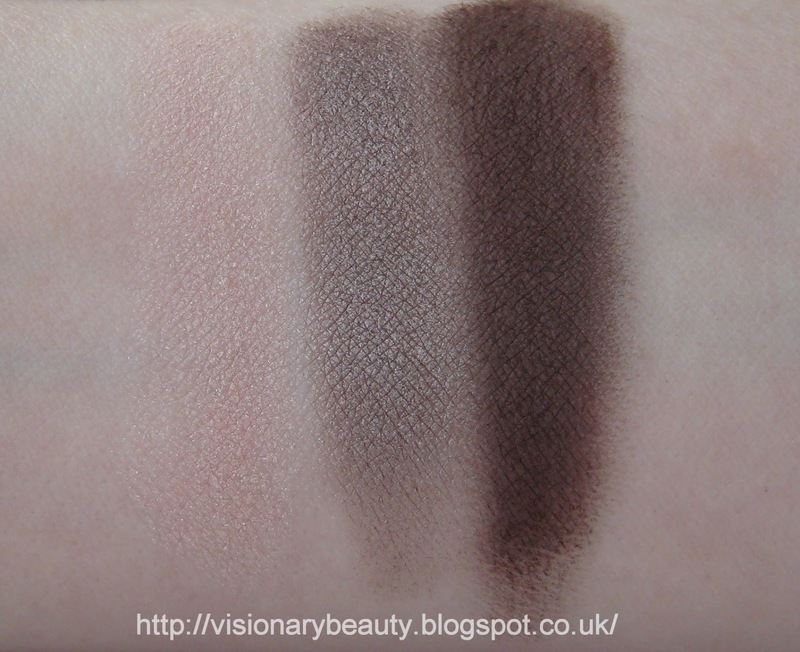 Priced at £18 each I think these are quite good value, they have a smooth texture, a very high pigment level and are easy to blend. 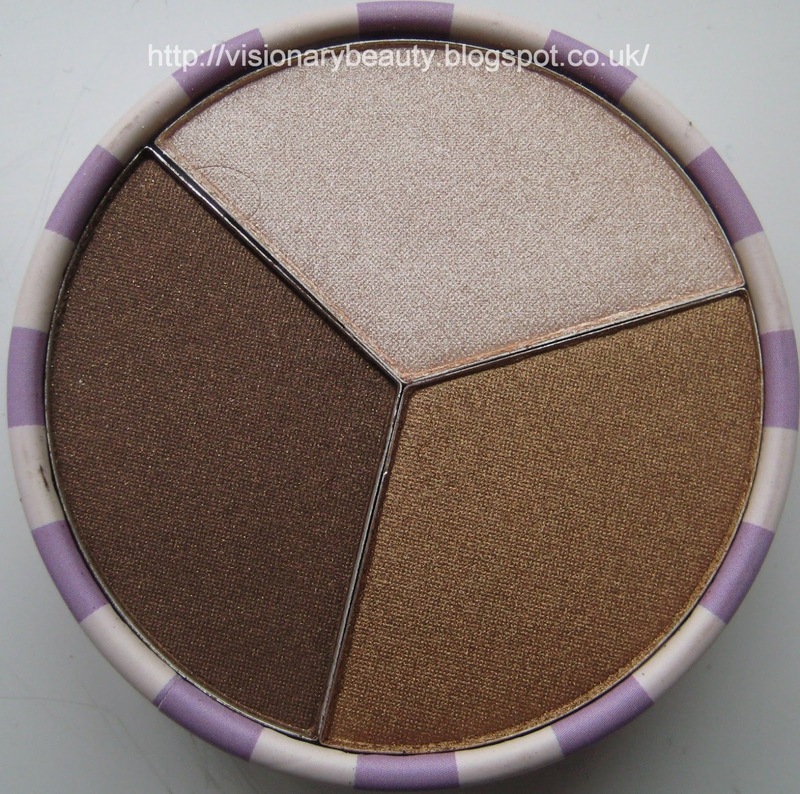 However if I were to be picky (which you know I will be) and compare them to the original trios, these are more powdery, don't adhere as well to the lid and the finish of the shadows just isn't as good. I was really hoping this would be a return, albeit brief, to the Stila of old but sadly that's not quite the case. The new limited edition Rose Gold collection consists of: Blush Volupte Rose Gold in shade Loulou, Souffle D'eclat Rose Gold Face Powder, Touche Eclat Rose Gold Highlighter, Teint Touche Eclat Rose Gold Primer and a Rose Gold Blush Brush. In the UK this collection is exclusive to Boots at the moment and I understand it will have a limited release in other countries. 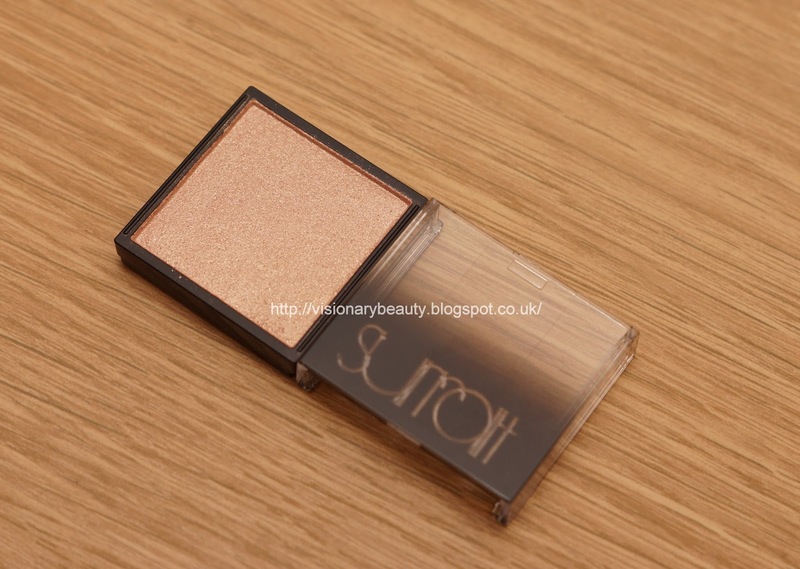 The Blush Volupte Rose Gold in shade Loulou (£32) is certainly eye catching with its bright burst of colour. 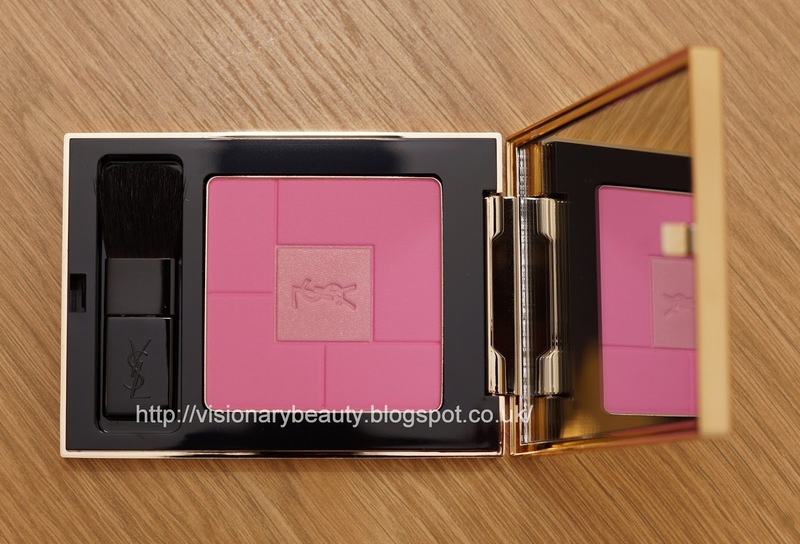 The powder is very finely milled and non powdery. 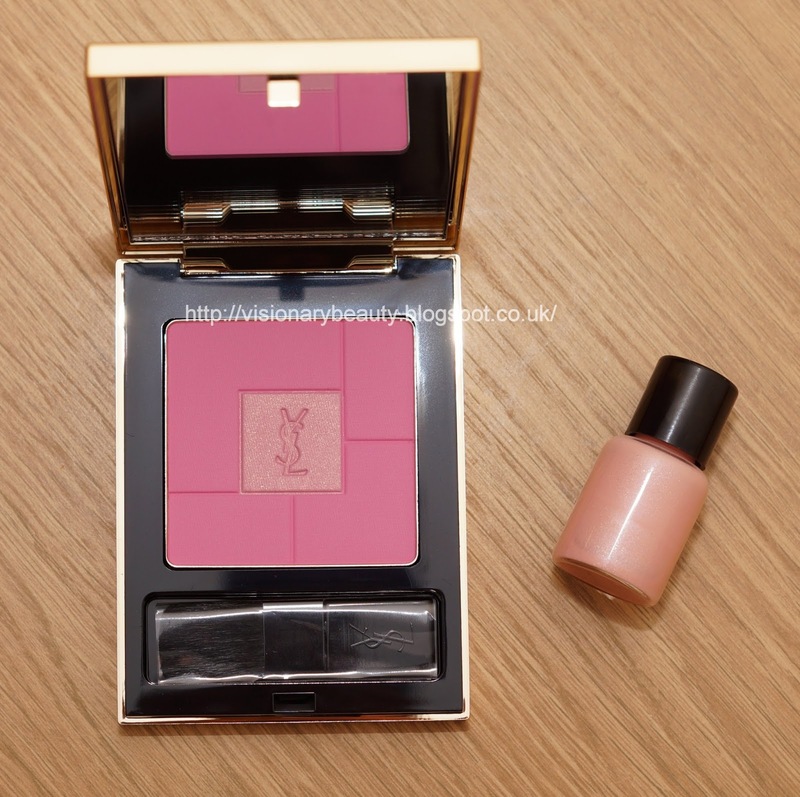 It feels very smooth but is not creamy/soft. 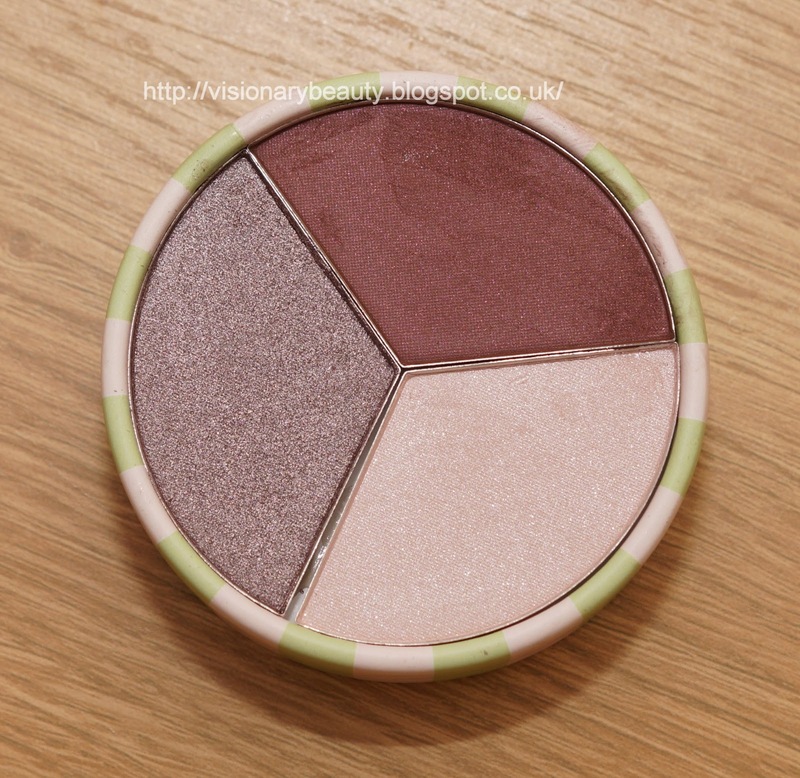 The blush contains a pigmented cool toned matte cerise/fuchsia and in the centre a slightly sparkly silver-pink. I love the shade, however feel that the centre colour gets lost and I can't tell the difference when I combine the shades or not. 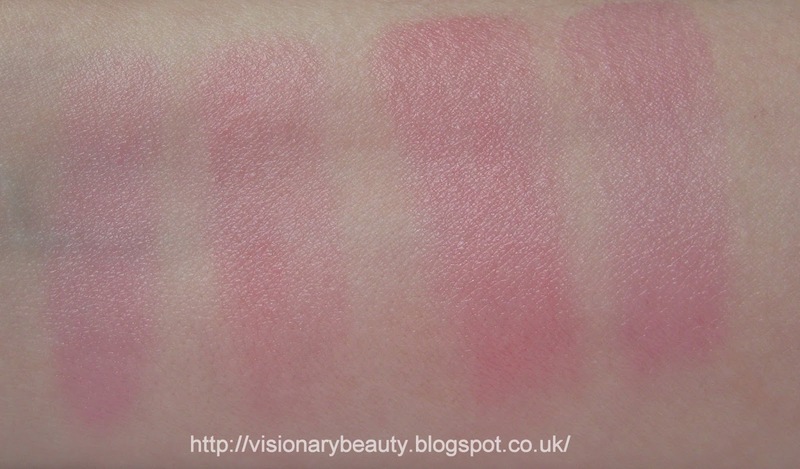 Swatched below both shades and then combined. I initially was going to pick up the both the primer and Touche Eclat but on swatching there was visible gold sparkles in both so I just got a sample of the primer. 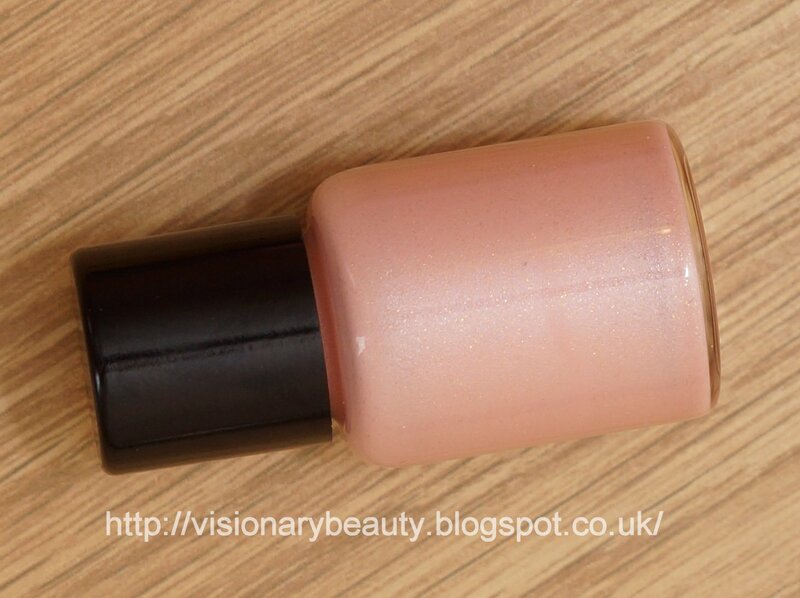 The Teint Touche Eclat Rose Gold Primer is similar in concept to the Armani Fluid sheers (the full size is £30.50, 30 ml and comes with a pump dispenser). 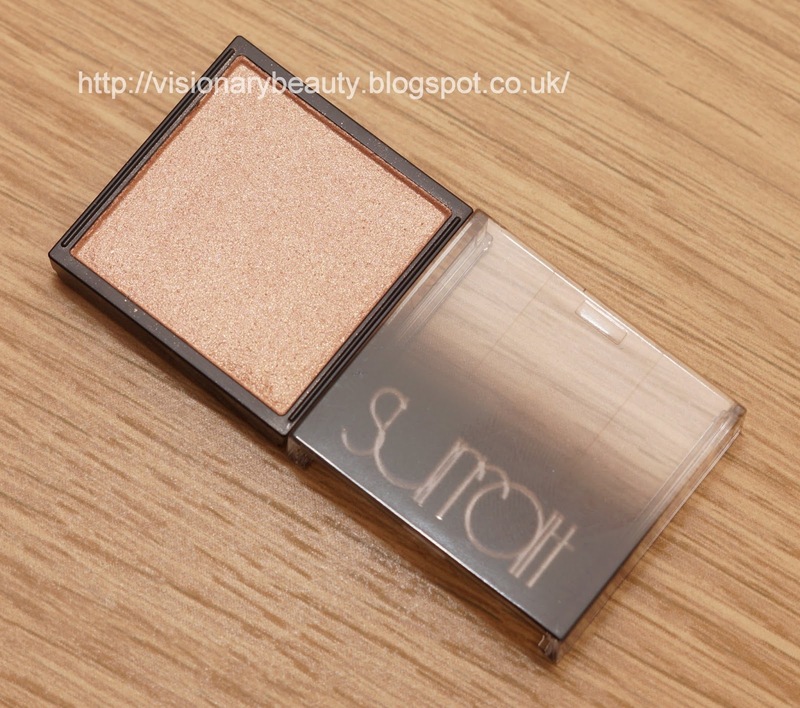 It can be used under foundation to give the complexion a natural glow and on top of to use as more of a highlight. It has a lovely silky texture and is not sticky. 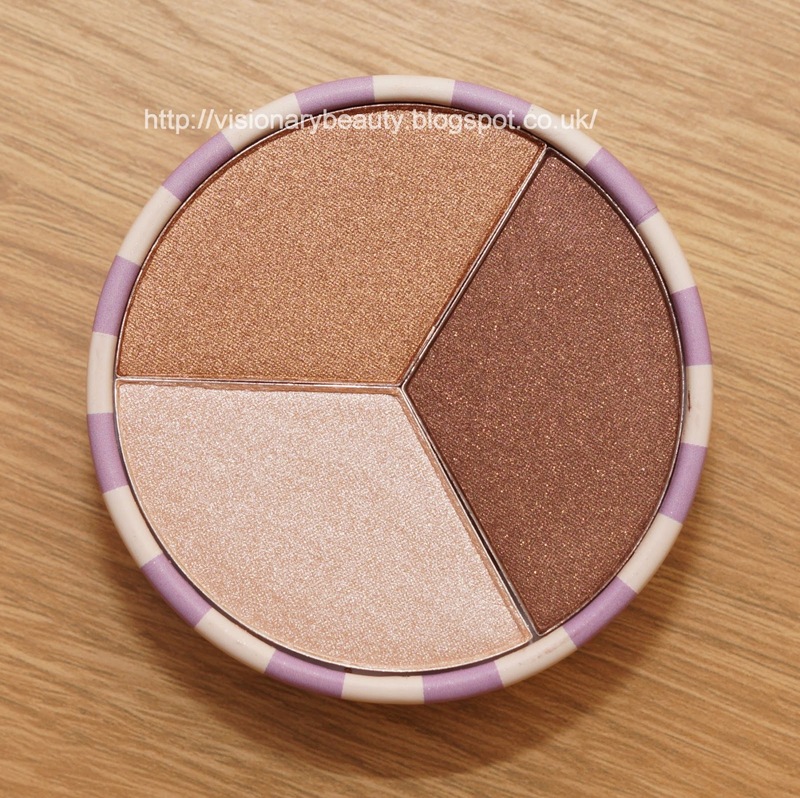 The effect is very pretty, it gives that candle light glow with a peachy/gold tone with a very long lasting wear. Having played with my sample, as much as I love the application/wear and effect, I do not like the visible golden sparkle I can see on my skin close up. I think the concise collection is very striking and recommend checking it out if you can. 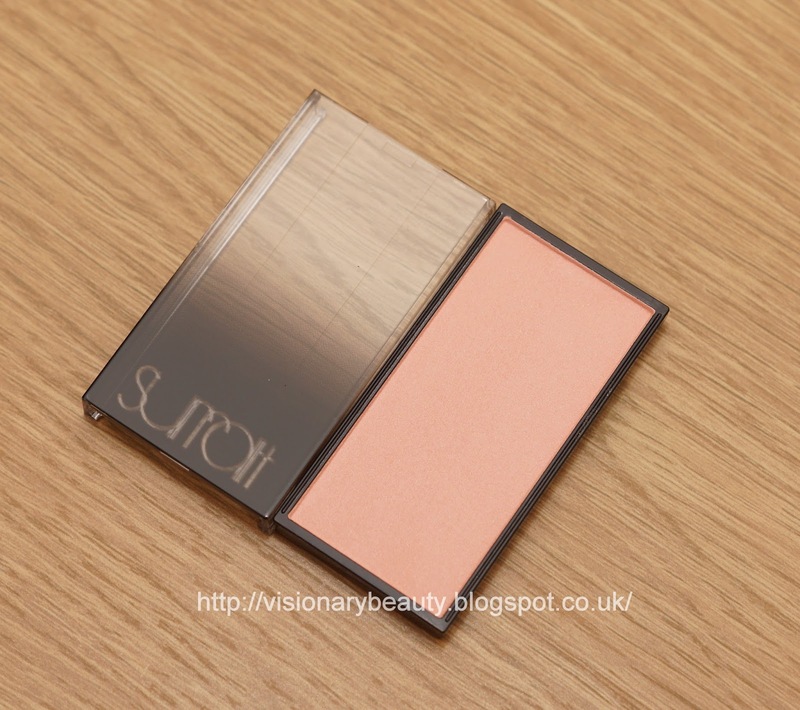 There's a good colour-range of Artistique blushers in the Surratt line, I opted for one of the palest blush shades, Duchesse (£23). 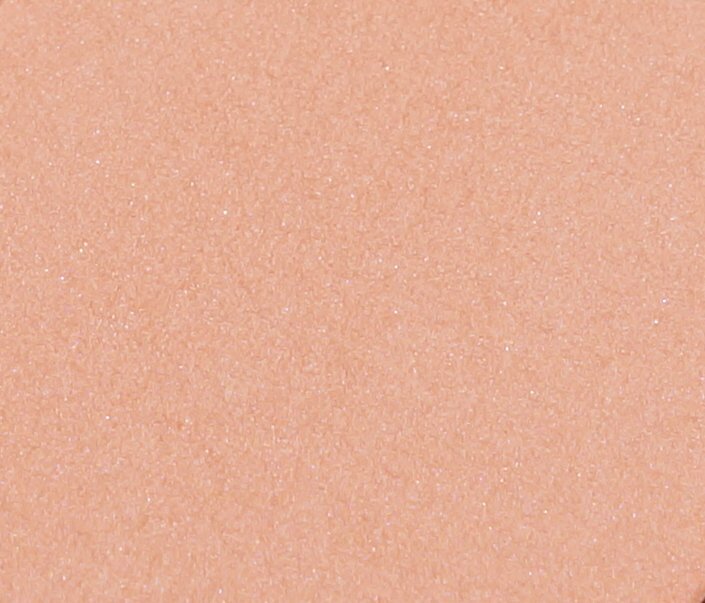 It's a light peach with a satin finish that gives a lovely natural sheen to the skin, perfect for lifting the complexion and adding a healthy warmth. 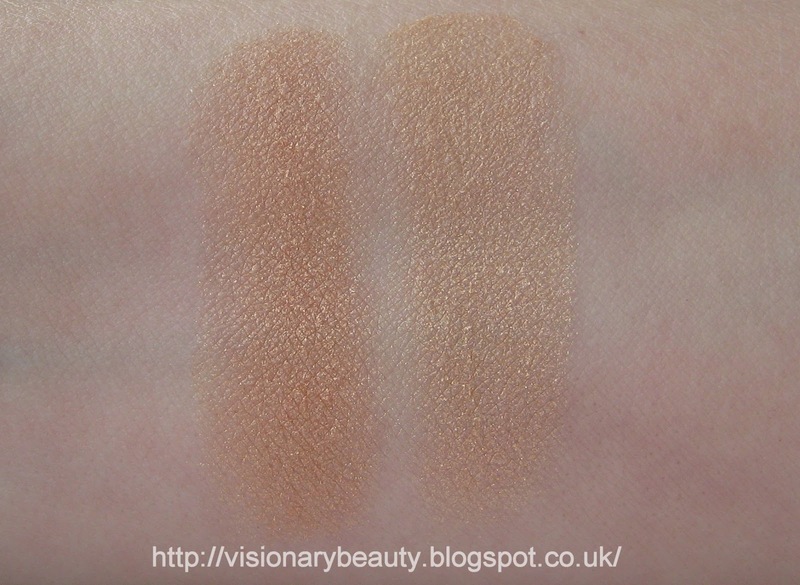 As its so light in colour I think this shade is best for fair skintones. Its not chalky nor powdery and has a wonderfully smooth, silky texture that glides on almost like a cream and has a very impressive long wear. 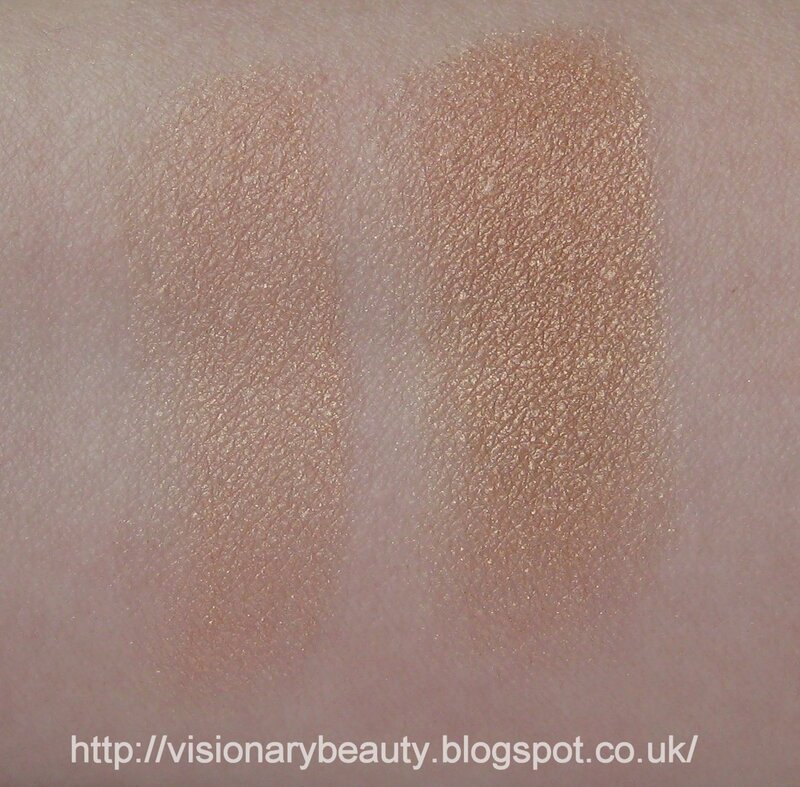 When I initially saw the Artistique Eyeshadow Doré Rose (£16) in the pan I was worried it would be too similar to Idealist (reviewed here) but you can see in the swatch (Doré Rose on the left) they are different enough to own both. Doré Rose is a shimmery copper with a touch of rose gold. 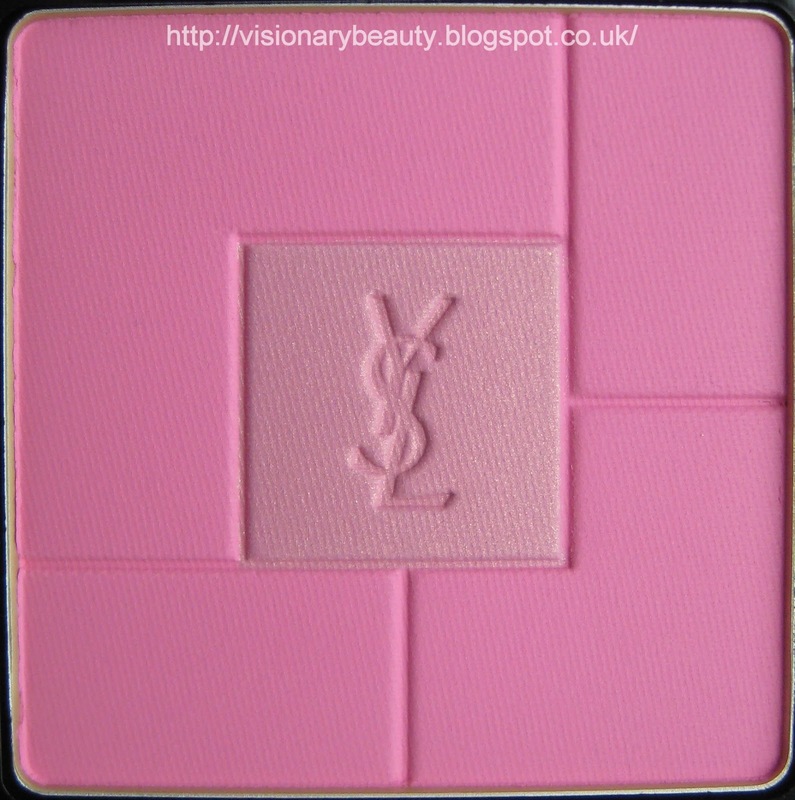 A really pretty shade but too warm for my skintone. 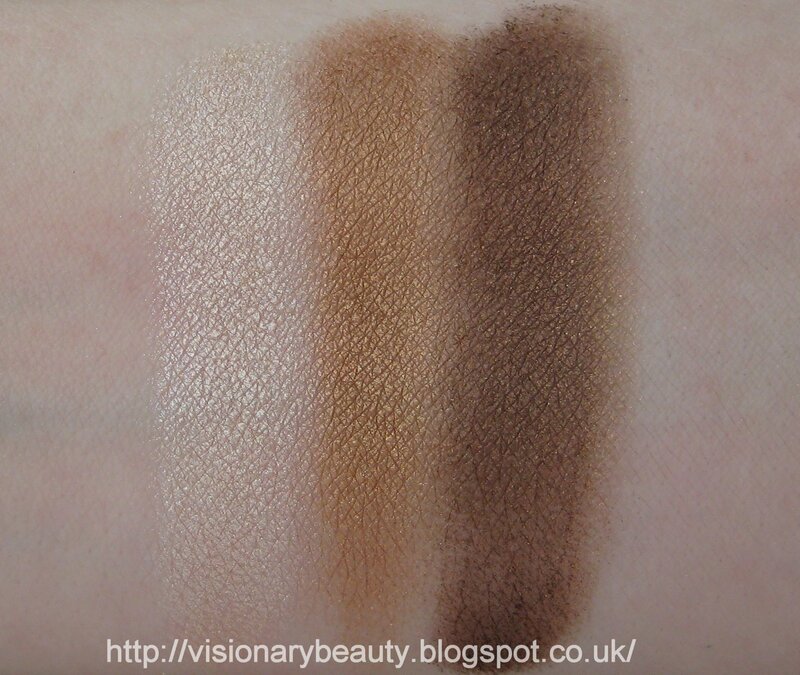 As with my other Surratt shadows this has a lightweight, silky, non powdery texture which applies effortlessly. I remain really pleased with the Surratt line for the quality and performance, though as the shadow colour wasn't right for me I just need to be a bit more careful in future with my selections. 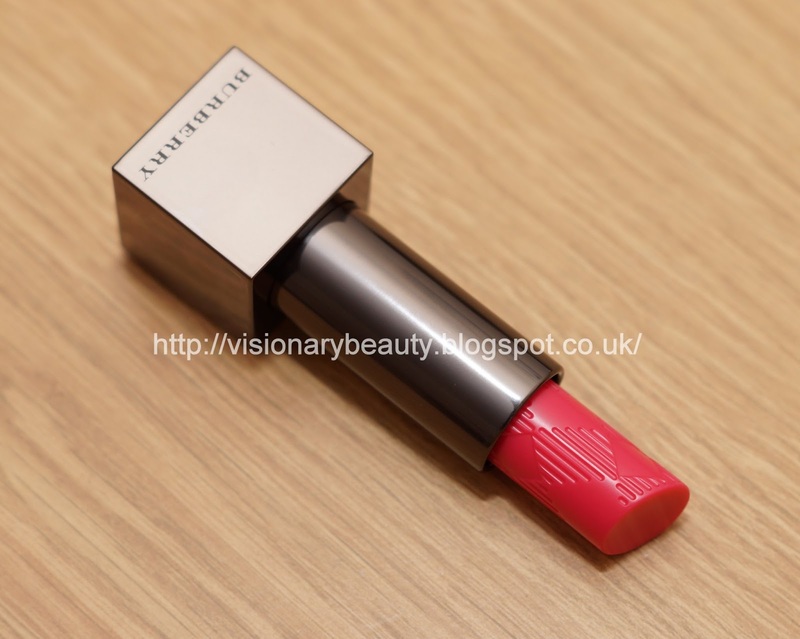 The Burberry Summer Showers collection is a range of three shades options for cheeks, lips and nails (Orange Poppy, Pink Peony and Pink Azalea). 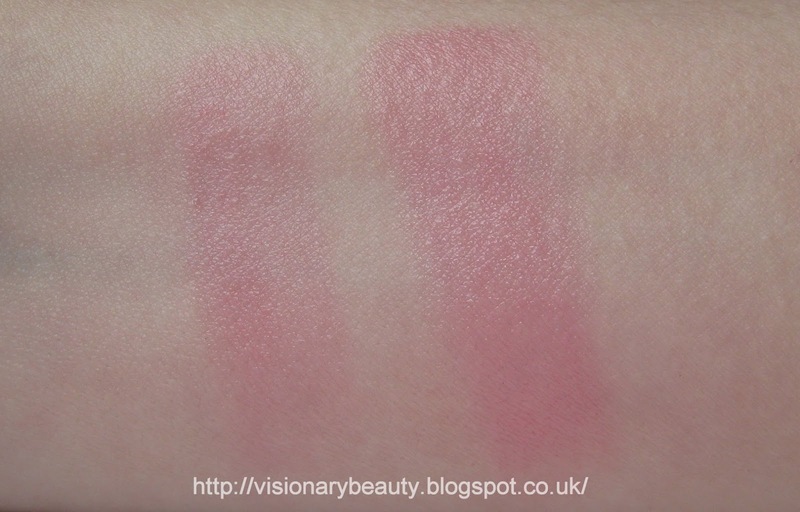 Its very much about juicy colours with a dewy finish and brings us two new product; Fresh Glow Blush and Lip Glow Balm. 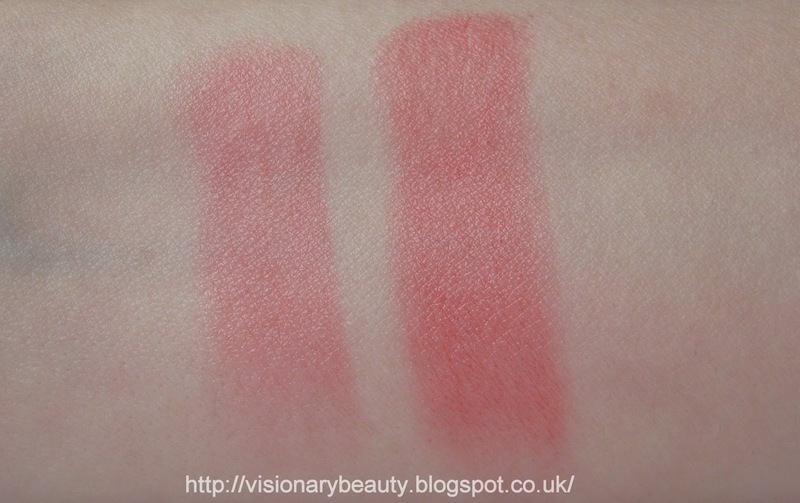 The Fresh Glow Blushers (which consists of over 50% of water) seemed somewhat translucent when I swatched them so I picked up two of the Lip Glow Balms instead (£23 each). Orange Poppy #01 is a brightening coral/orange. Pink Peony #02 is a healthy looking pink. They don't have lots of slip like some tinted balms do and both have a nice glossy sheen finish. 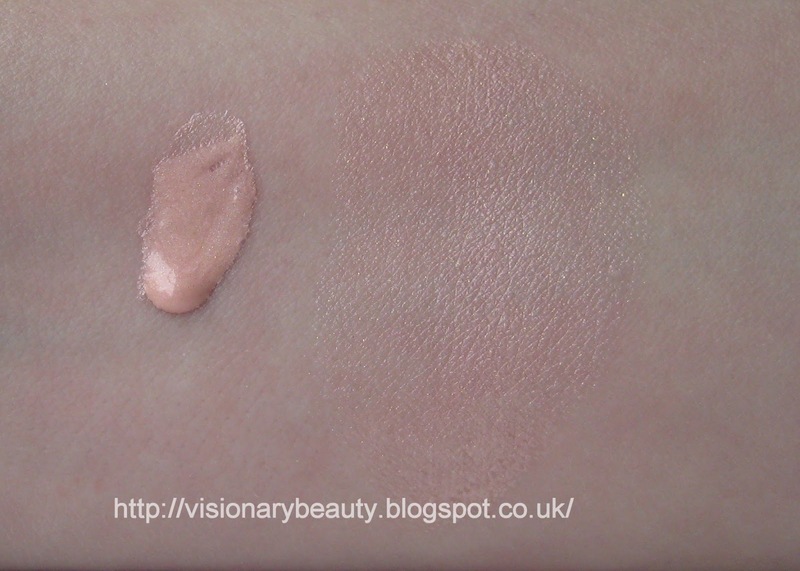 The initial swatch is very sheer, reminding me of the Benefit hydrating tinted lip balms. 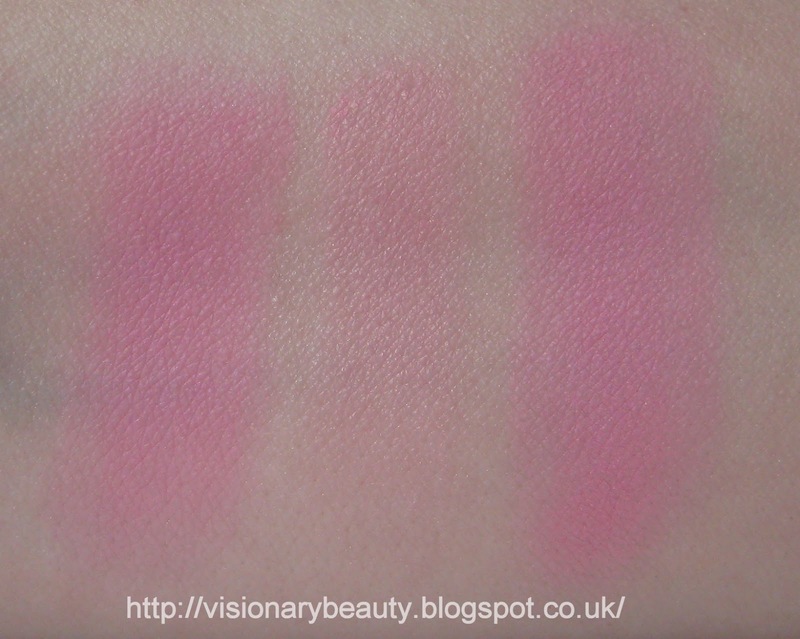 Shown below Benefit lollibalm then Burberry Pink Peony swatched once and then the same shades swatched 3 times. 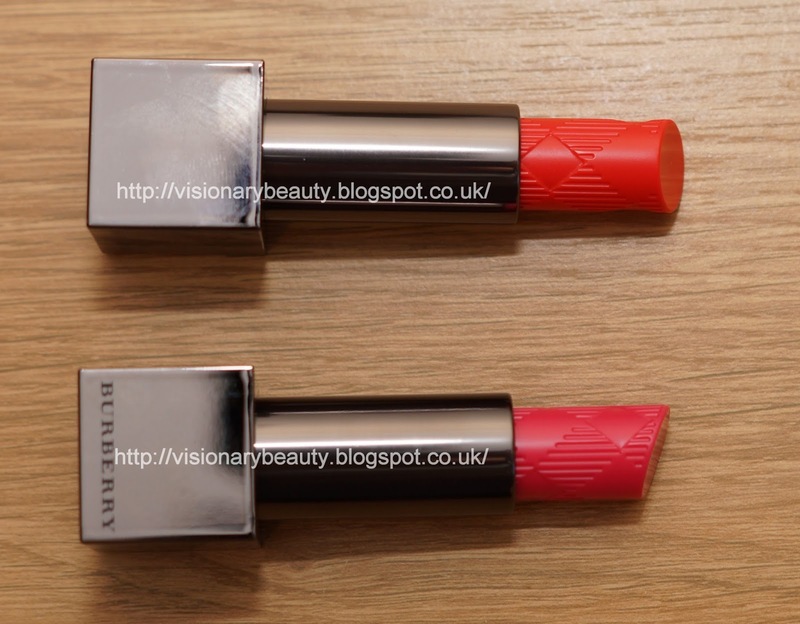 Unlike Benefit, I am pleased to say that they apply a lot more pigmented on the lips (Orange Poppy is undeniable more pigmented than Pink Peony). 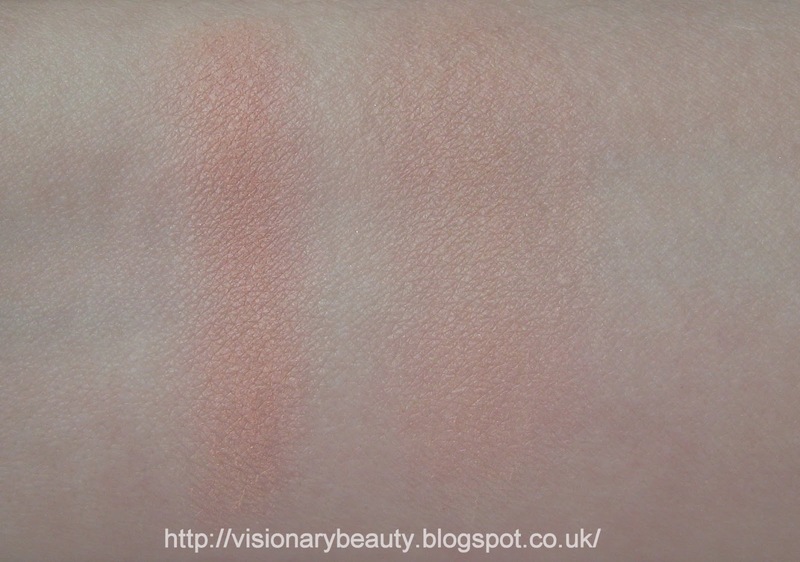 This does make me wonder if the Fresh Glow Blush would have applied more pigmented on the cheek compared to when I swatched them). 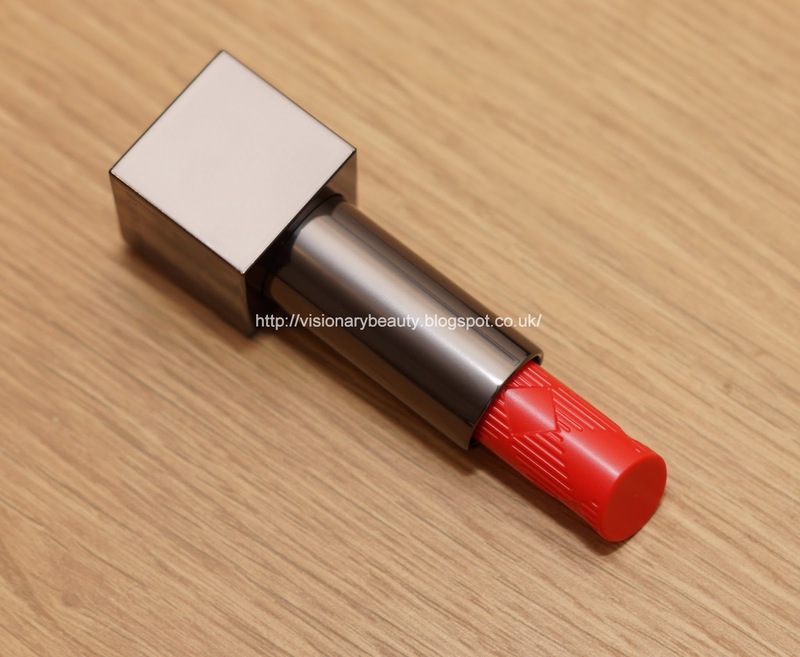 The balms feel moisturising, and make the lips feel softer. The formula contains nourishing oils and waxes which helps to protect from dehydration and I find my lips still feel in this condition after the product has worn off. Its a nice concise collection of cheery looking shades and I have to say I'm tempted to go back for the more plummy Pink Azalea Lip Glow Balm.